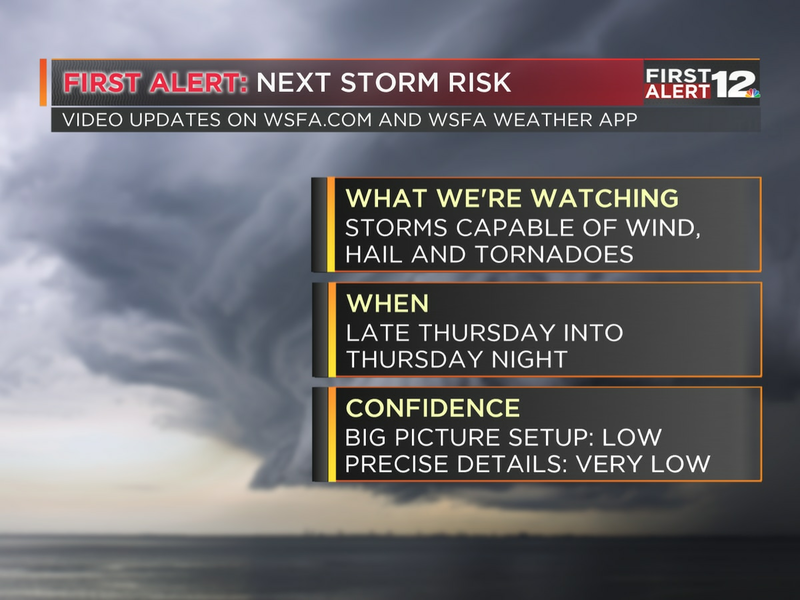 MONTGOMERY, AL (WSFA) - Some strong storms are possible tomorrow, with hail and damaging wind gusts the main threats. Our next storm system will move into Mississippi and parts of north Alabama overnight. 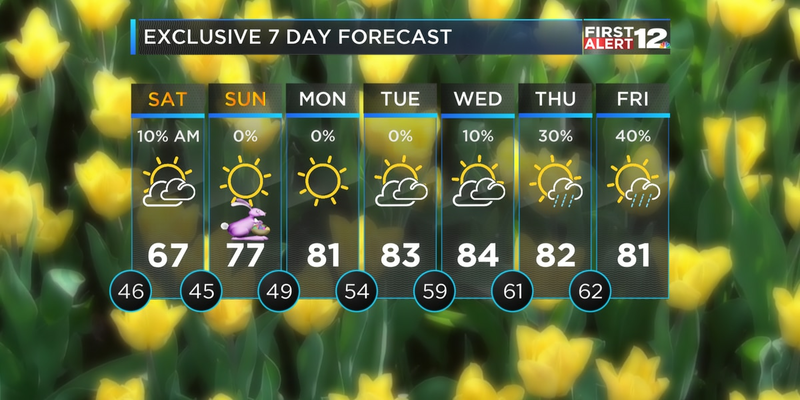 Central and south Alabama will stay warmer than they have been over the past couple of nights with lows in the 50s under partly cloudy skies. 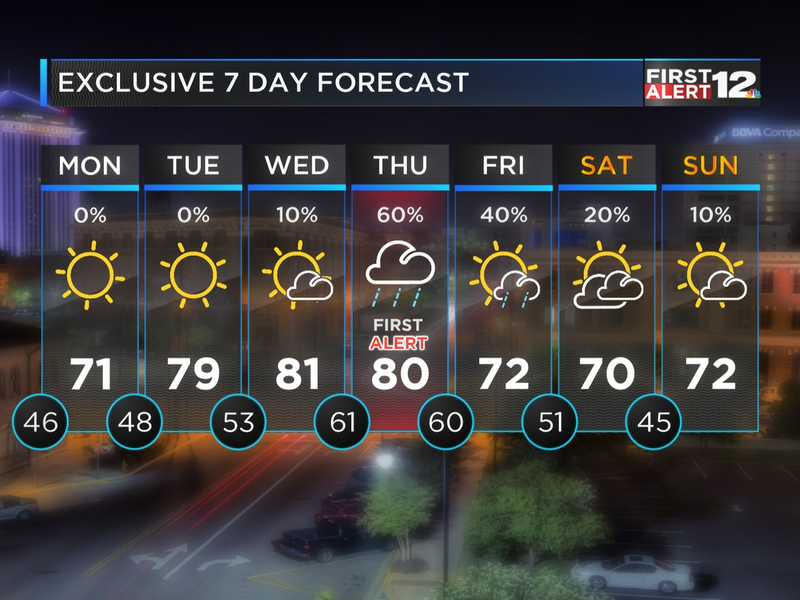 Showers and storms will arrive in central and south Alabama later tomorrow afternoon and linger through late evening. Ample CAPE, or “storm fuel”, and shear will create an environment conducive for supercell development. Large hail and strong, damaging wind gusts up to 60 m.p.h. are our main concerns. We do not expect tornadoes or flooding. This will not be a widespread storm event. Showers and storms will be scattered as they move from northwest to southeast, and any strong/severe storms will be isolated.